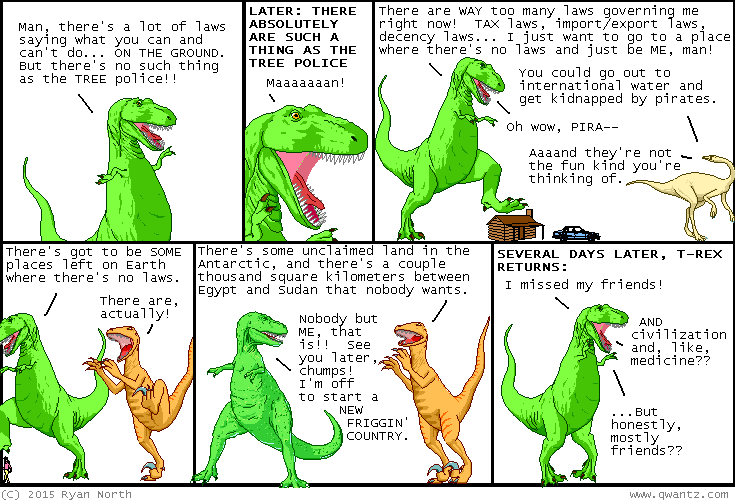 Dinosaur Comics - April 1st, 2015 - awesome fun times! –And he ended up in the afterlife! April 1st, 2015: The Dinosaur Comics whiteboard is now available on SOLID STEEL, which means it's not only more metal, but it's also magnetic! So along with using it as a whiteboard, you can use it with the Dinosaur Comics Constructed Language Magnetic Poetry Set to create only the sweetest of messages. Check it out!